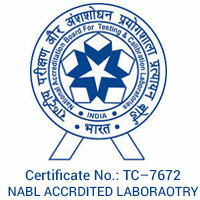 Tamilnadu test house is licensed by Indian drug control Administration for Pharmaceutical testing in Form 37. Tamilnadu test House maintains certified reference standard, validated methods, and having internal quality control check points to ensure the analytical results. In addition to this, we also participate in -laboratory Quality Proficiency Programs periodically. All quality assurance data held by the laboratory can be examined by our customers according to mutual agreement. Tamilnadu Test House is fully committed to creating a dynamic culture across its laboratories, ensuring the delivery of an industry-leading service to all its customers. Delivering the best services supported by a reliable integrated quality management system compliant with the ISO/IEC 17025:2005 and the Good Manufacturing Practices Guidelines for the pharmaceutical testing industry. Ensuring the Quality Management System fulfils customer and regulatory requirements and provides confidence and expertise at all steps of the analytical testing process. Providing resources, tools, training and adequate workplaces to its personnel, giving them the responsibility to familiarize themselves with the Quality Management System documentation, implemented policies, procedures and methods, when required, in their work. Monitoring and ensuring the continuous improvement of the Quality Management System across all Sections. Continually improving the effectiveness of the Quality Management System by challenging its procedures and developing strategic indicators, which will be reviewed periodically. Communicating to all its personnel the business strategy and group performance in all key areas, including quality situation on a regular basis. Ensuring a strong awareness of risk management is integrated through the organization and that suitable tools are available to assess and minimize risks. Acting with integrity and promoting ‘Integrity’ as a core value throughout the business. By embracing such commitments, Tamilnadu Test House aims to continuously improve the level of customer satisfaction and deliver testing with integrity based on an industry-leading Quality Management System.